The app has completely changed the advertising industry; you don’t have to be a supermodel to market a brand, with Instagram, anyone can become a ‘brand influencer,’ given they have what it takes. And the best part is, it’s for free! Instagram has particularly become a pictorial Eden for photographers worldwide. With millions of high-quality content posted every day, the app is capable of turning a struggling photographer with a vision to a social media icon with thousands of followers. If you’re new to the photography business, Instagram can work wonders for you. Not only will you be reaching out to a larger audience in a matter of seconds, you can even start getting paid gigs if you know the right tactics. So, if you’re wondering how you can use Instagram to get prospective clients to hire you not only for your amazing skills, but for also your own unique perspective, here are a few tips. No one wants to be spammed with pictures after pictures, no matter how stunning, from the same person on their Instagram feed. This is why you should make it a rule to showcase only the best of your work and limit the amount to a post or two per day. You want your brand to be known for quality and not for numbers. If you bombard your followers with pictures, you’re going to lose their attention faster than saying snap. The key to keeping your followers hooked is to give them just enough; not less, not more. 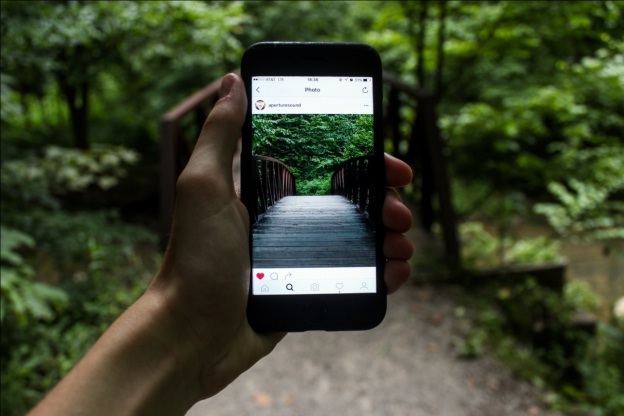 From the beginning of creating your Instagram profile, you must decide the aesthetics of your whole account. Rather than striving to become a jack-of-all-trades, you should focus your photography to one particular field. Specialize in something, e.g. newborn shoots or magical weddings. This will help you to stand out from the rest of the crowd. Attaching hashtags and geotags to your post will result in a wider dispersal over the app. It can get tempting to use hundreds of hashtags so that your post comes up somewhere, but that is not as effective as you may think. Avoid using long hastags. Use more specific ones, in combination with the longer ones. Another way of amassing more followers and promoting your photography business is by getting featured on an Instagram ‘Hub.’ These are pages that already have a large following, and feature photographers on their account that catch their interests. Follow such accounts but don’t beg them for a shoutout. Compel them to feature your shots on their own. Also, make sure to link your ‘Book Your Session’ business page to your Instagram bio for prospective customers. The author is a passionate photographer with a keen eye for taking the most natural of landscape shots. They created Improve Your Photography Online as a medium for great photography classes for beginners!